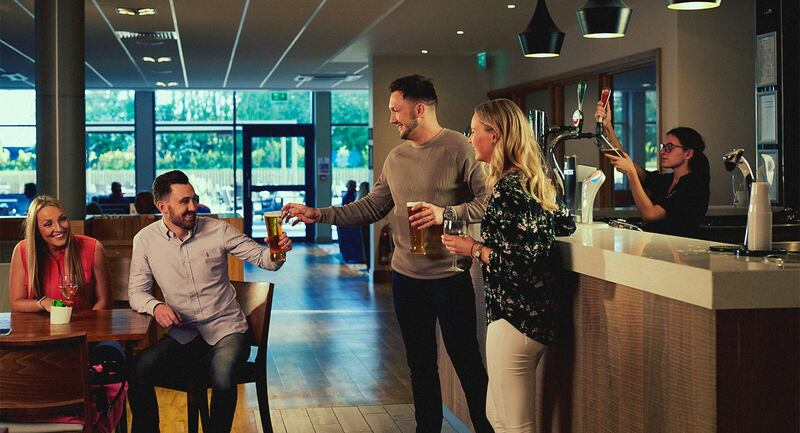 Whether you’re here with your family or by yourself, you’ll love our cafebar. There’s a family area with soft play climbing frames, a much quieter enclosed Adult’s Only area, and a business zone if you need to work. Add in free Wi-Fi and the fantastic outdoor terrace that offers stunning views across over Madrid, and it’s easy to see why our cafebar is such a popular place to have a meal or a coffee. Whether you’d like a quick snack, a long lunch or dinner with friends, or a refreshing drink by the pool, our restaurant will be able to cater for you. Our restaurant in Aravaca also has a stunning outdoor terrace area, it’s the perfect spot to enjoy the sunshine and a tasty meal. With a great range of fresh dishes, why not pay us a visit, and try one out! Being a member of David Lloyd Aravaca is about much more than just joining a gym. The club is a place that you can make new friends, spend time with your family, work from, as well as keep fit and healthy. We run regular social events – from parties in our cafebar, to cocktails out on the terrace that has the most beautiful view across Madrid, there’s so much to get involved with. If you’d like to be a part of the club then come along and take a tour.